Catskill Mountain Chapter of Trout Unlimited, Inc. v. EPA: Will Relaxed or Proactive Permitting Govern America’s Water Transfers? The upcoming Second Circuit appeal for Catskill Mountain Chapter of Trout Unlimited, Inc. v. EPA (“Catskill III”) could determine the future of water pollution permits and how citizens will be able to ensure well-regulated waterways. After examining the controversy behind pollution permit waivers and the case in question and its procedural history, the policy implications arising from the pending appeal will be examined. The Appellate Court will likely affirm District Court’s rejection of the Government’s Water Transfer Rule (the “Rule”) permit waiving, which will move the case to the Supreme Court and decide whether or not courts will defer to administrative non-regulation arguments. The Second Circuit will likely affirm the District’s ruling and require pollution permits for water transfers. In Catskill I, the Circuit rejected EPA’s reliance on precedent supporting permit waivers for dam projects because those cases argued that pollutants were not introduced into navigable waters, but simply moved from one body to another.16 In Catskill II, Southern District rejected EPA’s motion to dismiss while the Eleventh Circuit was contemplating the Rule in an ongoing case.17 With the Second Circuit having previously ruled against EPA deference, it strongly suggests that the Appellate Court will do so again unless convinced that the Rule now merits deference. The Eleventh Circuit officially deferred to the Rule and upheld no-permit requirements.18 The EPA might hope to use this precedent to achieve deference, but the court may want to uphold the spirit of Catskill I and uphold permit enforcement. Whatever the outcome, the appeal will affect nationwide water regulation. The appellate decision could determine how strong future water pollution regulations will be. If the Second Circuit reverses the District’s ruling, there will be circuit consensus deferring to the Rule and supporting pollution permit waivers for water transfers. In doing so, many politically powerful cities and townships would not need to secure federal discharge permits, which could leave smaller communities and outlying areas exposed to pollutants. States could rely on and strengthen their own permitting systems, but the EPA can still regulate this alternative and attempt to block stringent state regulatory regimens.19 Given Trump’s electoral victory, a deregulatory-minded EPA administrator is expected and could disrupt a stronger New York permitting system.20 Also, New York City might pressure the state legislature and government to oppose water transfer permitting. The EPA and other in-state actors could block similar regulatory efforts and jeopardize water pollution controls nationwide. As such, Plaintiff Catskill Mountain Chapter will likely appeal to the Supreme Court to protect existing and future water regulations. Defendants EPA and City will appeal to the Supreme Court as well if the Second Circuit affirms District’s ruling. Such a decision would cause circuit split between the Second and Eleventh Circuits because there would be judicial disagreement over whether or not to defer to the Rule and permit waivers. The Second Circuit appeal will likely affirm Catskill III: the EPA must require water transfer pollution permits.21 This is in direct opposition with the Eleventh Circuit ruling in Friends of the Everglades: the EPA does not need to issue water transfer pollution permits.22 Without another appeal, the EPA would enjoy deference in one region but not in another. This could motivate other entities to challenge the Rule and potentially cause more circuits to require water transfer permits. A favorable, binding Supreme Court decision would save the EPA years of litigation and create a uniform national law. Given recent elections, a GOP-friendly nominee will likely succeed Scalia. However, this does not necessarily mean that the Court will defer to the EPA’s interpretation. There are two potential outcomes to a Catskill Supreme Court appeal. The Supreme Court could affirm the likely Second Circuit decision to invalidate the Rule and require permits. A conservative Supreme Court hostile to delegated rulemaking in administrative agencies might rule to against EPA rather than defer. 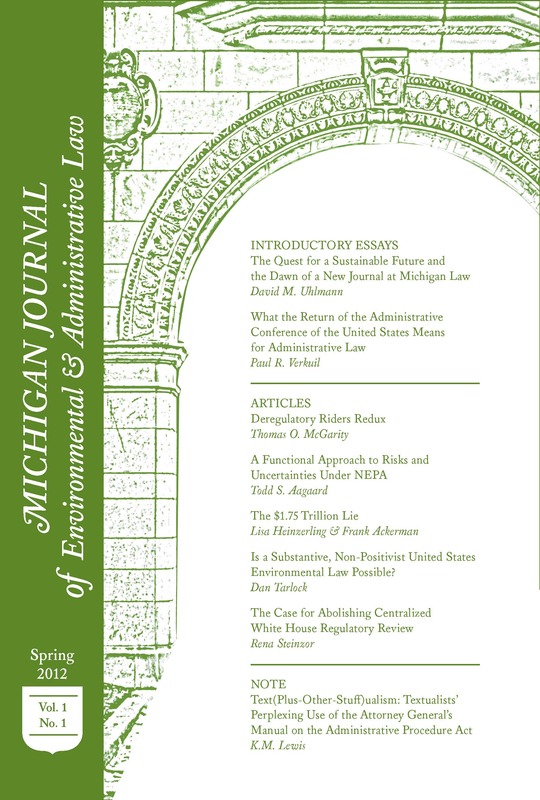 Michigan v. EPA suggests this given the Court’s refusal to defer to EPA’s Clean Air Act interpretation on why it did not need to consider financial costs in regulating power plants.23 Or, the Court could defer given an anti-regulatory mood and supporting EPA’s states’ rights argument. The future is too remote until a nomination is made. The pending Catskill III appeal will signal whether conservationists will continue to rely on proactive federal permitting to monitor water pollution or whether they must lobby for more proactive state permitting in the wake of lax regulations. Clarification: This piece was written in November 2016. On January 18, 2017, the Second Circuit ruled in a 2-1 decision reversing Catskill III.24 The majority ruled that the Water Transfer Rule permit exemption was a reasonable CWA interpretation and entitled to Chevron deference.25 It is still argued that the presented prediction in this article is an alternative route that the Appellate Court could have taken. Regardless, Catskill Mountain Chapter may still appeal the decision. See 33 U.S.C.A. § 1342(a) (1977). 2 See 40 C.F.R. § 122.3(i) (1983) (amended 2013). 3 Jeremy N. Jungreis & Robert C. Horton, Awash In Controversy: The Developing Saga of the EPA Water Transfer Rule, Nossaman LLP, http://www.nossaman.com/Files/19760_ABA%20Trends%20Sept%20Oct_2008_Jungreis_Horton.pdf. 4 NPDES Permits Should be Required for Water Transfers, States Say, http://stormwater.wef.org/2015/01/npdes-permits-required-water-transfers-states-say/ (last visited: Nov. 18, 2016). 5 New York City Water Supply, http://www.eserc.stonybrook.edu/cen514/info/NYC/WaterSupply.html (last visited Nov. 18, 2016). 7 See Catskill Mountains Chapter of Trout Unlimited, Inc. v. City of N.Y., 273 F.3d 481 (2d Cir. 2001), adhered to on reconsideration, 451 F.3d 77 (2d Cir. 2006). 8 Id. at 481, 451 F.3d at 89. 9 See Catskill Mountains Chapter of Trout Unlimited, Inc. v. U.S. E.P.A., 630 F. Supp. 2d 295 (S.D.N.Y. 2009). 10 See Catskill Mountains Chapter of Trout Unlimited, Inc. v. U.S. E.P.A., 8 F. Supp. 3d 500, 514 (S.D.N.Y. 2014), appeal withdrawn (July 1, 2014). 13 See Chevron, U.S.A., Inc. v. Nat. Res. Def. Council, Inc., 467 U.S. 837 (1984). 14 See Catskill Mountains Chapter of Trout Unlimited, Inc., 8 F. Supp. 3d at 548-49. 15 Catskill Mountains Chapter of Trout Unlimited, Inc. v. U.S. E.P.A., No. 14-1997 (S.D.N.Y. filed Jun. 12, 2014). 16 See Catskill Mountains Chapter of Trout Unlimited, Inc. 273 F.3d at 489. 17 See Catskill Mountains Chapter of Trout Unlimited, Inc. 630 F. Supp. 2d at 306-07. 18 See Friends of Everglades v. S. Florida Water Mgmt. Dist., 570 F.3d 1210, 1228 (11th Cir. 2009). 19 See 33 U.S.C.A. § 1342(b-d) (1977). 20 Schlossberg, Tatiana, What Should Senators Ask Scott Pruitt, Trump’s E.P.A. Nominee? Here’s What Readers Said, N.Y. Times, Jan. 17, 2017, https://www.nytimes.com/2017/01/17/science/readers-questions-scott-pruitt-trump-epa.html?_r=0. 21 See Catskill Mountains Chapter of Trout Unlimited, Inc., 8 F. Supp. 3d 500, 514. 22 See Friends of Everglades, 570 F.3d 1210, 1228. 23 See Michigan v. E.P.A., 135 S. Ct. 2699, 2708, 192 L. Ed. 2d 674 (2015). 24 See Catskill Mountains Chapter of Trout Unlimited, Inc. v. U.S. E.P.A., No. 14-1823 (2d Cir. Jan. 18, 2017). Next Will Congress Warm-Up to HFC Refrigerant Replacements?